Yet again, I am dreadfully late at responding to BTT. In my world, having nothing to read is just as bad as not taking vitamins. I need to have a book or two near the tub, the toilet, and the bed, as well as various other places in the house, so asking me to choose between novels and short stories is difficult. If it’s well written, I like it. After further thought, however, I decided that while I like short stories in small doses, I much prefer novels, because they give me the time to really submerge myself in a story, and breathe in a completely different world for a while. Short stories entertain me, but they never really give me the satisfaction I need. 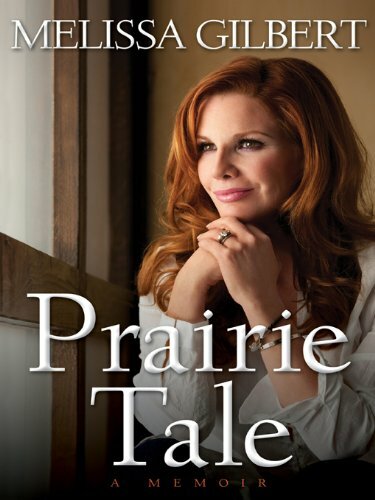 I’ve been a fan of Melissa Gilbert ever since the first episode of “Little House of the Prairie” first aired, but I hadn’t realized she’d published her memoir until I saw it for sale among the souvenirs of “Little House on the Prairie: the Musical” several weeks ago. I ended up buying the trade paperback version, and reading it in one night. In Prairie Tale Gilbert starts with her childhood as a kid in pigtails going to commercial auditions, and walks us through the grittiest details of her life until now. She speaks wryly about her nervousness about the kissing scenes and love scenes with Dean Butler, who played Almanzo on the show, and candidly about her first serious relationship, with Rob Lowe. She shares her dreams, and also shares her struggle with the loss of Michael Landon, and her deeper struggles with both self esteem and alcohol. If she’d been using Lipovox, she’d have written about that too, no doubt. In the end, this book does what a good memoir should: it makes us feel as if we’ve had a long chat with someone we once wished we could be friends with. Goes well with strong coffee and a slice of corn bread. I’ve been a fan of Laurie R. King’s series about Mary Russell and her older husband, the legendary Sherlock Holmes, since the first book hit the stores, so of course, I had to have the latest adventure the very second it came out. When The God of the Hive arrived, however, I put it aside, planning to savor it while on vacation. Instead, I read all the paperbacks I’d brought with me, so that I could leave them for my mother, and didn’t read this novel until I got home. One of the things I love about this series is the level of detail King includes. While she doesn’t have to know what passed for the best acne treatment in Holmesian London, she does have to know where one can find certain kinds of stationery, or where a bolthole might be located. 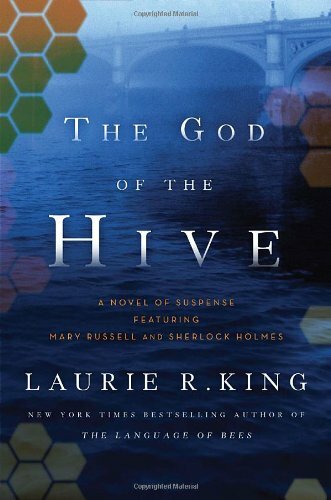 In this book, which is a direct sequel to the previous installment, The Language of Bees, Russell and Holmes are still separated by the requirements of their current case – Holmes fleeing with his injured long-lost son, and meets up with a Scottish doctor, who ends up being a fabulous addition to the existing cast of characters. Mary, on the other hand, has the aeroplane pilot, and Holmes’ half-Chinese granddaughter to contend with, though she, too, hooks up with a helper who turns out to be quite beneficial to all concerned. There isn’t much detection in this novel – there is character and there’s plot, but it’s basically a chase scene interrupted by action. The good news, however, is that it’s still, undeniably King’s work, which is always incredibly compelling reading.